The business process modelling has been largely dependent on the ease of the functional and development model (Turetken, Vanderfeesten & Claes, 2017). The report has considered the aspects of Crater Lakes Caravan and Camping Park case study and forming the usefulness of the notation diagrams and business models. The following assignment has been made considering the business process analytics and change management. The alignment of the factors had been considered for easing the usefulness of the processes. The 7PGM model for Laundry, Toilet, and Shower Usage/Maintenance include the activities of campers are provided with swipe key, washing machine is provided @$2/load, water is provided @$1/day, cleaning of toilet and shower, utilization of toilet and shower, cleaning of laundry, and utilization of laundry. The 7PGM model for Customer’s Park Entering and Exit Process includes the activities of customer check-in, voter ID is submitted, entering details of the driver(s) current driver(s) license, and their vehicle(s) registration, signing register, staff provide park map to customer explaining locations, campers are provided with swipe key, visitors have to clear their accounts, and visitors leave the park @ 21:45. It can be concluded from the assignment that the utilization of the business process engineering had been helpful for the aligning the activities of the processes. 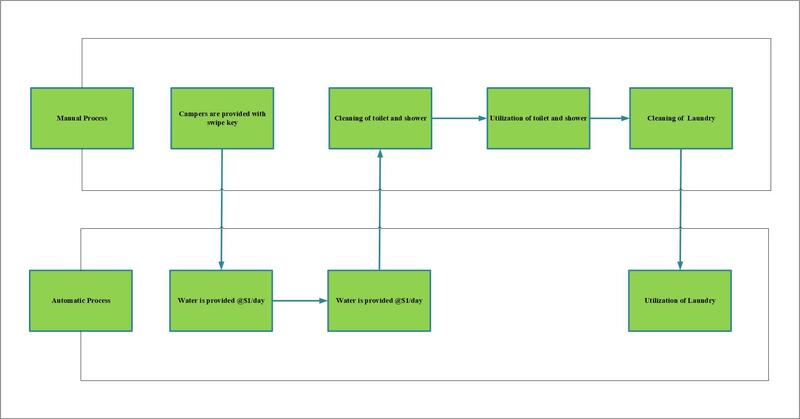 The process model had been aligned for developing laundry, toilet, and shower usage/maintenance and customer’s park entering and exit process. The integration had been developed for integrating the alignment and using the formation development. The allocation had been done for taking care of the activities and forming ease with the process modification. The alignment of operations had supported the integration and function activities. The operations had been defined for easing the utilization and development for taking care of the activities. 1. Armas-Cervantes, A., Van Beest, N. R. T. P., La Rosa, M., Dumas, M., & Raboczi, S. (2017, September). Incremental and interactive business process model repair in apromore. In Proceedings of the BPM Demo Track and BPM Dissertation Award (Vol. 1920). 2. López-Pintado, O., García-Bañuelos, L., Dumas, M., & Weber, I. (2017, September). Caterpillar: A blockchain-based business process management system. In Proceedings of the BPM Demo Track and BPM Dissertation Award co-located with 15th International Conference on Business Process Modeling (BPM 2017), Barcelona, Spain. 3. Zimoch, M., Pryss, R., Probst, T., Schlee, W., & Reichert, M. (2017). Cognitive insights into business process model comprehension: preliminary results for experienced and inexperienced individuals. In Enterprise, Business-Process and Information Systems Modeling (pp. 137-152). Springer, Cham. 4. Khan, A., Pohl, M., Bosse, S., Hart, S. W., & Turowski, K. (2017). 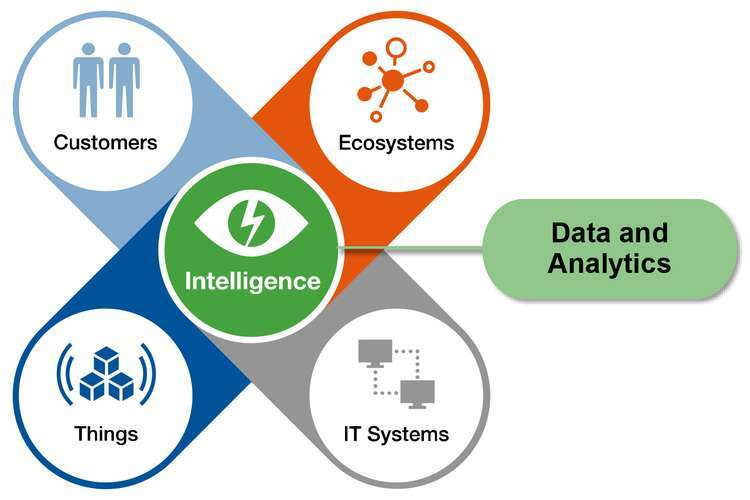 A Holistic View of the IoT Process from Sensors to the Business Value. 5. Alles, M., Brennan, G., Kogan, A., & Vasarhelyi, M. A. (2018). Continuous monitoring of business process controls: A pilot implementation of a continuous auditing system at Siemens. In Continuous Auditing: Theory and Application (pp. 219-246). Emerald Publishing Limited. 6. van Dongen, B., De Weerdt, J., Burattin, A., & Claes, J. (2018, January). Introduction to the 13th International Workshop on Business Process Intelligence (BPI 2017). In Business Process Management Workshops: BPM 2017 International Workshops, Barcelona, Spain, September 10-11, 2017, Revised Papers (Vol. 308, p. 162). Springer. 7. Zimoch, M., Pryss, R., Schobel, J., & Reichert, M. (2017). Eye tracking experiments on process model comprehension: lessons learned. In Enterprise, Business-Process and Information Systems Modeling (pp. 153-168). Springer, Cham. 8. Thuan, N. H., Antunes, P., & Johnstone, D. (2017). A process model for establishing business process crowdsourcing. Australasian Journal of Information Technology Systems, 21. 9. Turetken, O., Vanderfeesten, I., & Claes, J. (2017, June). Cognitive style and business process model understanding. In International Conference on Advanced Information Systems Engineering (pp. 72-84). Springer, Cham. 10.Wang, W., Indulska, M., Sadiq, S., & Weber, B. (2017, September). Effect of linked rules on business process model understanding. In International conference on business process management (pp. 200-215). Springer, Cham.